KCJ Property Restorations services south east Qld, including the Sunshine Coast and the Gold Coast. We offer an emergency on call service 24 hours a day, 7 days week to guarantee that we are always available for our clients. We are a family owned business that commenced operation 15 years ago and we pride ourselves on our team and our work. Our Restoration Technicians are all highly trained and experienced to manage all types of restoration jobs like floods, water, fire, mould, sewerage etc in both homes and business. Every project is led by a certified technician so you can be confident that you are dealing with reliable experts in the area of restoration. All our technicians are driving vans that have been fully fitted out with state of the art restoration and cleaning equipment. Call us on 1300 006 226 to discuss your cleaning needs with us today. 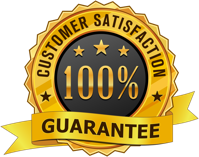 KCJ ensures that our results are guaranteed every time and we achieve the highest quality results for all residential and commercial jobs.